The true test for any democracy is whether power can change peacefully at the ballot box. The challenge for South Africa is to fast arrive at this point, writes Mmusi Maimane. As our nation marks 25 years as a democracy and the election campaigns click into high gear, it is worth marking the words of the SA Reserve Bank. Mondli Makhanya: How will South Africans’ (un)happiness affect the election? For a constitutional democracy like ours it is expected that the criminal justice system is applied equally among citizens. 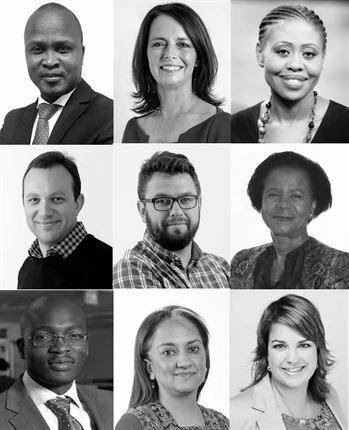 News24 Voices: Opinions and analysis at the forefront of the news. It is disturbing to hear that South Africans don't have hope because all political parties are the same. This statement is a fallacy when uttered by those who have not tried voting for other political parties, writes Ralph Mathekga. Could identity politics be necessary to highlight democracy's shortcomings? Julius Malema is deeply aware of the systemic fault lines that prevents growth and equality. He exploits these themes for political support and uses populist rhetoric to attract voters, writes Adriaan Basson. After Afrikaans singer Kurt Darren blithely butchered our national anthem at a rugby match, he was shocked that his negligence had made the news. South Africa is clearly the latest terrain of a world-wide tug-war between creators of authored works, publishers, cultural industries, tech firms and their activists over the protection of copyright, writes Collen Dlamini. Thanks to his popularity Steve Hofmeyr's race-baiting has been normalised over the years. He has been a fixture on society pages and the airwaves. But it seems those days are over, writes Pieter du Toit. It is no accident that the vast majority of athletes affected by IAAF regulations are black women and women of colour from the global south who do not conform to Western ideals of femininity. The most important thing we can do as a nation in the wake of the periodic xenophobic attacks is to reflect on why this continues to happen, what drives it and what we can do about it, writes Jacques Julius. Harping on the fact that a protest is organised is like noting that people won’t go to an event unless someone invites them. There’s no evidence that anyone has been forced to take part in the current protests, writes Steven Friedman. In listening to the news, one could be forgiven for believing that the entire community of Alexandra had marched that day to Sandton. This never happened, writes Herman Mashaba. Dear Mr President, I don’t know if you are aware of a squatter camp named after you – it’s Ramaphosa, in the east of Johannesburg, near Germiston. The imperative to restorate the integrity of key institutions dictates that by the end of this year at the very least, cases must have been brought to court and convictions obtained, writes Serjeant at the Bar. South Africa enjoys special respect for its political achievements. But it also carries an added burden in upholding democratic values locally and globally. In 2018 I took my son to watch the film Black Panther, thinking that I would be exposing him to something that would make him more (as the kids say these days) 'woke'. But I was the one whose eyes were opened. Ferial Haffajee: An abused nation welcomes a tax boss. Why? This is not normal! It was only a matter of time before the façade dropped. Aware that he is more popular than the ANC, President Ramaphosa imposed on the people of Alexandra a government speech using the wrong platform, writes Lukhona Mnguni. Frequently, young people referred to involvement in public protests as a preferable way to obtain a response from those in authority. Formal democratic processes such as voting were generally not seen as effective. Julian Assange, founder of WikiLeaks, has been arrested in London and charged with conspiracy to commit computer intrusion over his alleged role in the leaking of classified United States government documents. Here's what we know so far. The death of anyone is sad. The death of a young man is even sadder. But the death of a young man twice in a matter of weeks is actually quite tragic, writes Howard Feldman. Getting 'tough on crime' is a challenge for a government with a stretched budget such as ours. The brutal reality is that we must get 'smart on crime' instead, writes Ralph Clark. So what if I don't watch Game of Thrones? Personally, I prefer fact to fiction and it sounds like all the intrigue, drama and politics of Game of Thrones is our everyday news cycle anyway, writes Mandy Wiener. Which country will David Mabuza serve? Can the ANC really still tout itself as the vanguard of our sovereignty, a repository of our national pride, asks Mcebisi Ndletyana. For people whose lives are constantly disrupted by poverty and general destitution, the idea that peaceful non-disruptive protests will highlight their plight is unrealistic, writes Ralph Mathekga. The irony was totally lost on the Ace Magashule lot who were singing Asiyifuni imidlwembe (We don’t like hooligans) as they ran riot at a bookshop and tore up copies of the book that was being launched. In addition to the consequences of the deepening phenomenon of lawfare, another set of challenges to the constitutional project has emerged, namely the fact the Constitution itself has become an object of criticism. Human Rights Day: What are your basic rights and where can you go when they are infringed upon? Ace Magashule's radical tone is being presented as a co-sponsor of the ANC in this election. It's not only an election about Ramaphosa the reformer, it's an election about Magashule – the populist maverick, writes Daniel Silke. President Erdogan regularly vilifies journalists as "terrorists" while stoking fears of terrorism among his citizens. He frequently eschews facts and voices conspiracy theories, writes Ivan Phahle.